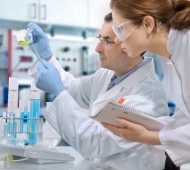 A&D TechEng’s knowledge and experience in developing Pharmaceutical systems provided one of our clients with the opportunity to automate their product testing and data storage procedures. •	Design, test and integrate an automated system to assist internal testing procedures. Employing Inductive Automation’s Ignition SCADA system, and MS SQL Server, we were able to design a system that records the dispensing of each test batch of product, and compares it to the client’s requirements to determine whether the product has passed testing or not. Whilst these tests are carried out, all the data is automatically saved to a secure SQL server and is easily retrievable for evaluation purposes. The automation of this testing process means human errors previously affecting the correlation of data, has now been eliminated making the whole testing process more efficient and accurate.